Saving money doesn't come naturally to most people. Depending on who you associate with, it's not uncommon to see people living paycheck to paycheck - not because they don't earn enough money - but simply because they have zero financial discipline and blow every penny they earn. At that rate, saving for retirement or even a basic emergency fund isn't even on the radar. It's hard to fault the individual when most high schools send graduates off without any financial knowledge but that's a whole different topic. Fortunately, there are some options out there for those needing a bit of help or encouragement in the financial department. One such solution is a new app called Acorns designed to help users automatically save and invest money without having to do much work. 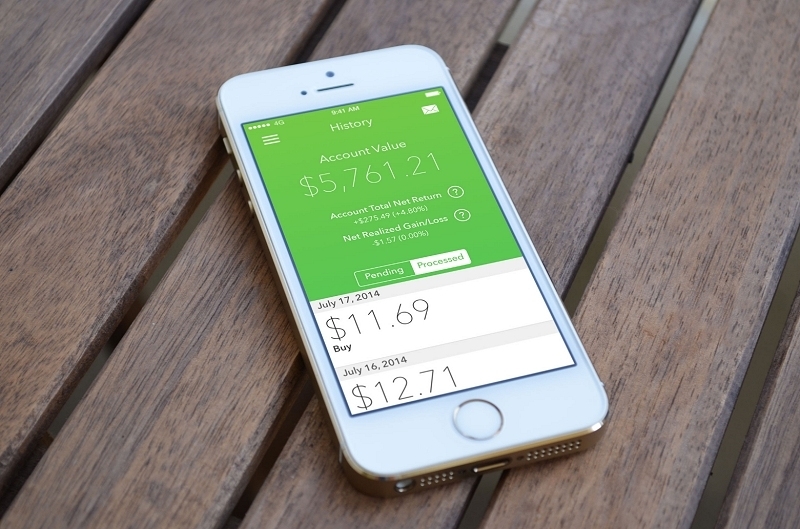 Similar to programs offered by banks, Acorns links to your credit or debit card. Each time you make a digital transaction, the app rounds up the purchase to the nearest dollar and invests the rounded-up change into one of five portfolios ranging from conservative to aggressive. The service doesn't have a minimum deposit requirement although it does charge a flat $1 fee each month on top of a 0.25 to 0.5 percent management fee on money invested. Furthermore, users are free to add additional money to their account or withdrawal funds at any time. And because the service is connected to your bank or credit card account, it scouts for cash rebates and loyalty rewards on your behalf. If you've been meaning to start a savings or investing account but haven't gotten around to it yet, this could certainly be worth looking into. By siphoning small amounts of money on each transaction, you likely won't even notice the financial 'hit' in your bank account each month.